A positive presence in the community. The path toward adulthood may look different for individual teens, depending upon their interests and goals. And, for most teens, that path is travelled with plenty of support, in the form of guidance, sharing of experiences and even financial assistance, from parents and family members. But, what if your family is not a part of your life? Who is going to provide that guidance and support? One Preferred Family Healthcare program fills a special need for youth/young adults who have been placed in the custody of the Missouri Children's Division. The John H. Chafee Foster Care Independence program is a federal initiative to help support older foster children as they begin to age out of the foster care system. The program, named after the late Senator John H. Chafee, was started as part of the Foster Care Independence Act of 1999. Sen. Chafee was a sponsor of the legislation and had been a vocal advocate for abused and neglected children. He recognized the need for special support and assistance for youth transitioning out of foster care. Chafee Supervisor Kari Twombly, who serves as regional lead for the Chafee program in northwest Missouri, and the Missouri towns of Nevada, and Joplin, said the program serves youth ages 14 to 21, and provides support for these teens as they work toward gaining independence and entering adulthood. There are currently over 1,200 youth being served by the PFH Chafee program in Missouri. 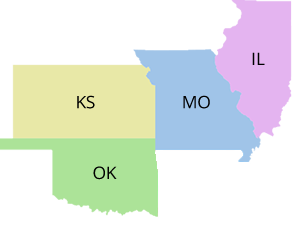 Staff members are located in the cities of Camdenton, Cape Girardeau, Desloge, Harrisonville, Joplin, Nevada, Poplar Bluff, Rolla, Springfield, St. Joseph, Trenton, and West Plains; however, youth in more than 80 surrounding counties in southwest, southeast, and northwest regions of the state are served by PFH's program. Kari said the support provided for each client is individualized, depending upon their needs and goals. That support could include financial assistance to allow them to participate in school activities, camps, and community events, or financial assistance to purchase athletic gear, school supplies, prom attire, and musical instruments. They also help the youth find jobs and assist them by teaching them how to complete applications and participate in job interviews. If the client is interested in attending college, the staff will take them on tours of college campuses and help them complete college and scholarship applications. Chafee Specialists assist the client with establishing resources in the community, as well as learning independent living skills in an individualized setting. She said each month they teach Basic Life Awareness Skills Training (BLAST) classes covering topics such as basic auto maintenance, cooking, or balancing a checkbook. PFH also hosts a Making Proud Choices (MPC) program which uses curriculum designed to teach youth about prevention of pregnancy and sexually transmitted diseases. "It is so rewarding to see these kids learn how to become independent and realize they can accomplish their life goals," said Kari. "I love it when I get text messages or phone calls from someone we've helped sharing their accomplishments and thanking us for helping them." Clients between the ages of 18 and 21 in southwest and southeast Missouri who are ready to be living on their own, but still need some support, may qualify for PFH's Transitional Living and Scattered Sites (TLSS) Program. Kari said the youth/young adult receive assistance finding a place to live. They then work with the young adult to teach them independent living skills, such as cooking, budgeting, maintaining employment, and achieving educational goals. There are currently 10 individuals in the TLSS program. The support doesn't always end when a teen decides to leave the foster care system. If the youth is 17-and-a-half or older when they leave Missouri state custody and find themselves in an emergency situation, they are eligible for Chafee Aftercare Services until they reach age 21. The emergency/crisis service provides assistance with housing, food, and employment. The clients in the PFH Chafee program have been very involved in advocating for themselves and other youth in foster care through participation in local and state Youth Advisory Boards. Kari said a number of clients participate in the local board where they discuss issues and share experiences. A few youth from each area attend quarterly state meetings where they have an opportunity to meet with legislators and officials and with Missouri Children's Division.